It's Harvest Season Year-round in the Valley of Heart's Delight! 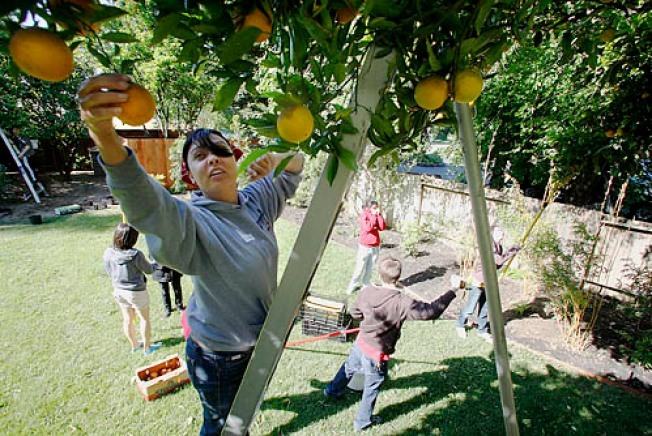 Village Harvest is a nonprofit volunteer organization in the greater San Francisco Bay Area which harvest fruit from backyards and small orchards, then passes it along to local food agencies to feed the hungry. They also provide education on fruit tree care, harvesting, and food preservation. Volunteers will harvest fruit from the trees of generous neighbors that know the fruit would otherwise be wasted. Instead it will go to local food banks and feed people in need. Volunteers generally get to bring some of the fruit home after the project! Volunteers will carpool between homes, starting and finishing at the meeting location. Full opportunity address will be emailed to you once you sign up.